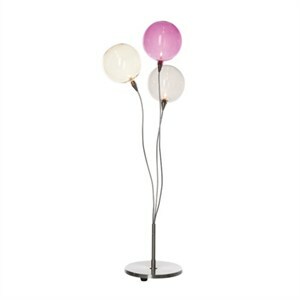 Table lamps with clear or colored round glass in different sizes. built-in transformer. Table- and floor lamp with electronic dimmer.